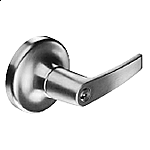 Arrow D Series deadbolts are engineered to perform under the most extreme conditions where security is critical. Our Grade 1 extra heavy duty deadbolt surpasses the demands of industrial, institutional and commercial applications. Two-piece housing, with free-spinning outer ring to prevent wrenching. Concealed mounting screws are standard on double cylinder functions. 1" (25.40 mm), solid steel deadbolt throw with hardened steel pin. 2-3/8" (60.32 mm), 2-3/4" (69.85 mm). 2-1/4" (57.15 mm) x 1" (25.40 mm) standard for 2-3/8" (60.32 mm) backset, 2-1/4" (57.15 mm) x 1-1/8" (28.57 mm) standard for 2-3/4" (69.85 mm) backset. Drive-in deadbolts are available. Doors:1-3/8" (34.925 mm) to 1-3/4" (44.45 mm) thick standard. Strikes:Supplied standard with two strikes. Solid brass, Arrow “A” keyway, drilled for 6 pins, pinned to 5. Supplied with two keys. Accepts 6 or 7 pin interchangeable cores. Supplied less cores. Will accept Best™ or Falcon™ type cores. 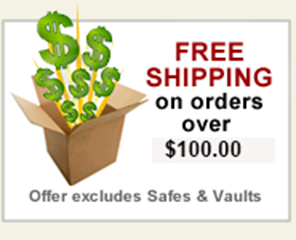 ASSA high security cylinders are available. US3, US4, US5A, US10, US10B, US26, US26D.